Do you want to join an amazing group of women who are welcoming and friendly? Whether your voice is high or low, soft or strong there is a part for you. You do not need to read music - all learning materials and support are provided. Prospective members are always welcome to come, listen to our art form and join in! 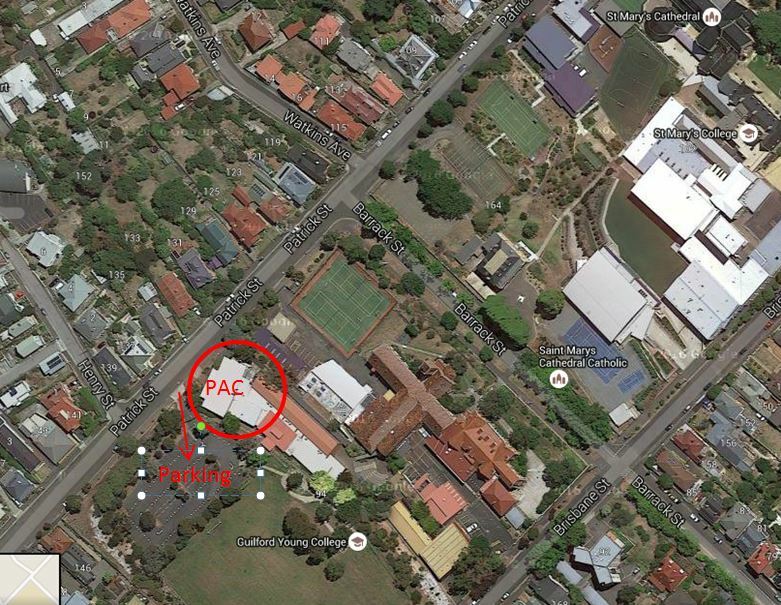 Rehearsals are Monday Night, 7:00 – 9.30 pm, at Guilford Young College’s Performing Arts Centre (PAC) – see MAP in Contact page. Once there, you will be invited to join our physical and vocal warm-ups and will be provided with sheet music and learning tracks. There is no charge for the first two Monday nights’ attendance. A $5.00 weekly fee will then apply until you are ready to audition to become a member of our chorus. At least once a year we run dedicated “membership drive” programs for both Young Women in Harmony and Chorus prospective members. They are run over a 4-6 week period and will be advertised on our website and facebook. For more information please see our FAQ's or contact us - we would love to hear from you!